alk into the Crazy Hens Farm and steal their eggs!! In this farm the hens are crazy and they will not stop laying eggs! Manage to remove them and get rich. The Crazy Hens Farm is famous for its eggs, hens lay and lay unceasingly. Manage to steal their eggs to fry them and earn credits. At this farm, you can make a fortune. Get 3 or more "Bonus" symbols on any pay line to activate the bonus screen, choose an egg and aim it with the slingshot, if the egg has a chicken you get all the bonuses on the screen, if not, you get the bonus inside the egg, but be aware that if you hit the egg with a chicken after getting bonuses the game is over. 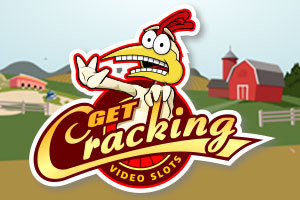 Get 3 or more "Sizzling bonus" symbols on any pay line and trigger the second bonus screen, choose the eggs you would like to fry and win credits.